Only one more week to view our FREE 3D Break the Cycle Exhibit! 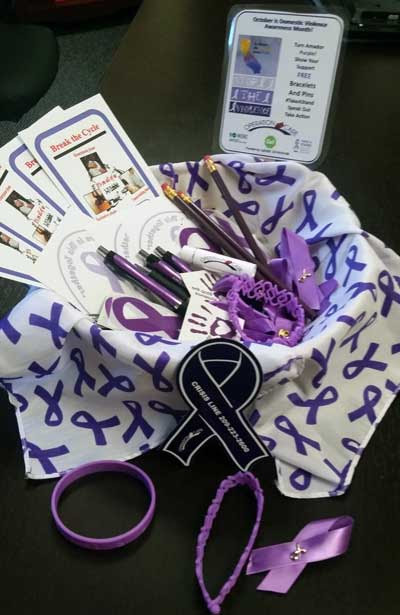 Visit our 3D Break the Cycle Exhibit and learn about of the effects of domestic violence on individuals, families, and community. Take a stand against domestic violence by visiting this comprehensive and informative exhibit. Help Turn the Golden State PURPLE! On Sunday, October 9, 2016, Lockwood Fire Protection District was pleased to participate in the 6th annual “Bells Across America” event sponsored by the National Fallen Firefighters Foundation. Lockwood Fire was notified by Debbie Abrams a district resident, of the event she participates in at her home each year. 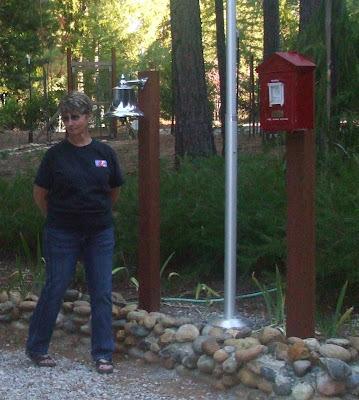 She has a bell mounted, a flagpole and an alarm box on a special section of her property to honor her brother, Los Angeles Firefighter/Paramedic Glenn L. Allen, who perished in a fire on February 18, 2011 while on duty. 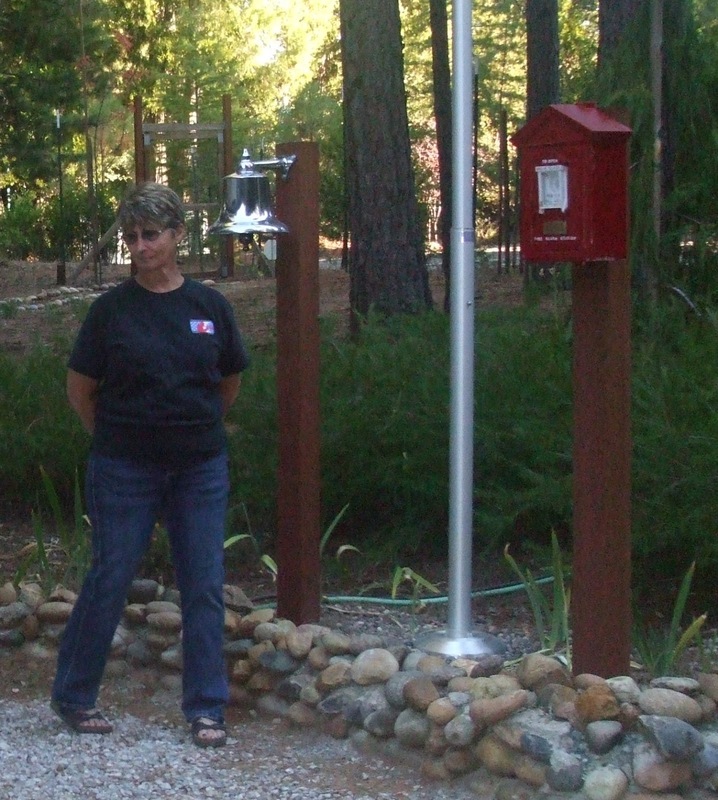 Lockwood Fire was the only west coast participating fire department. 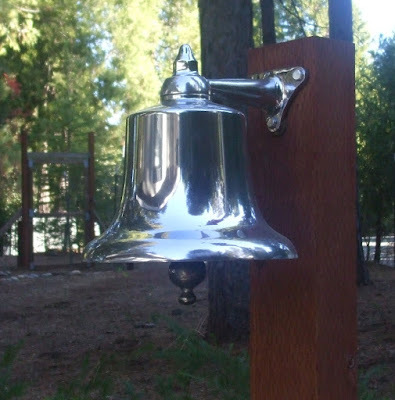 Lockwood will hold the event at Lockwood Fire Station #151 next year so everyone will have the opportunity to participate in this nationwide event. 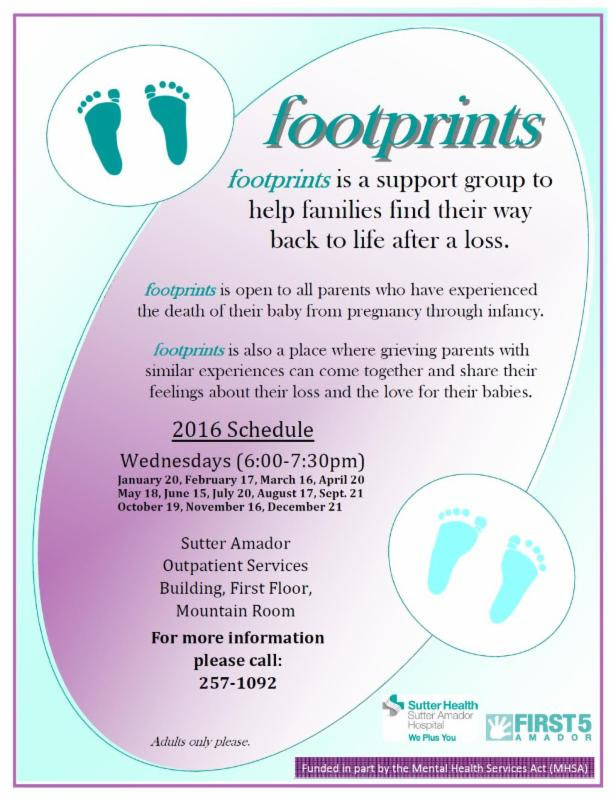 There is also a local support group in Amador for families. 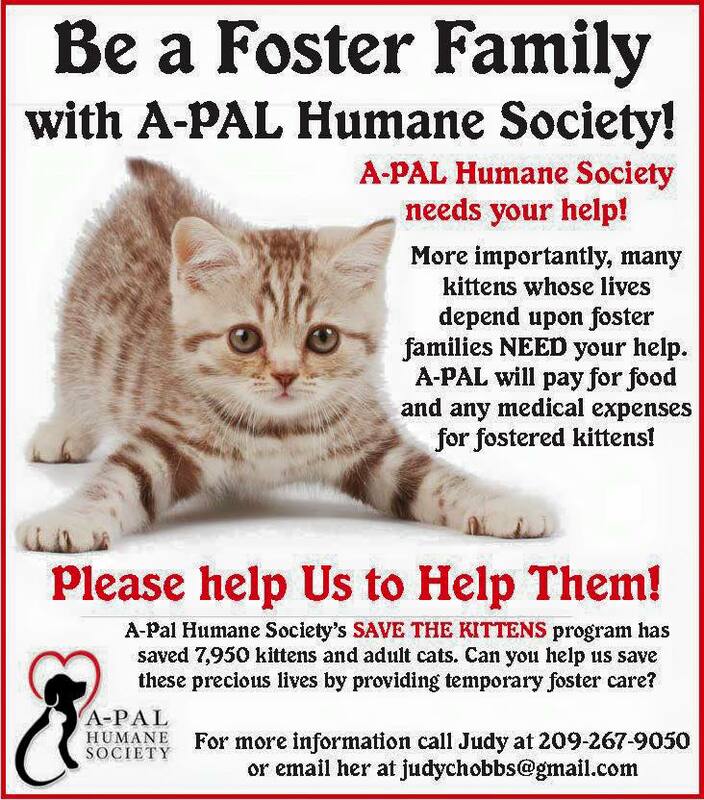 For more info., call 209-223-7452. Call to save your spot, 257-1092. Congratulations to our My Teaching Partner graduates! They have spent the past 10 months working hard to improve on the invaluable work they do for children! 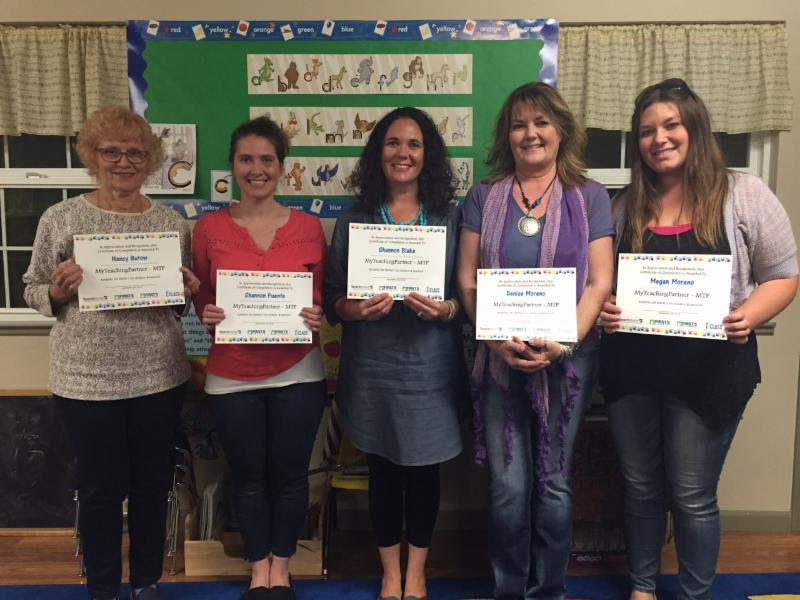 Thanks to funding from First 5 California, we were able to bring this in-depth quality program to Amador County early child educators. Pictured Left to Right: Nancy Butow, owner Nancy's Lullaby Nursery - Jackson;Shannon McCrory-Puente, owner Lil' Explorers Preschool & Daycare - Jackson;Shannon Blake, teacher Ione State Preschool - Ione; Denise Moreno, director Monarch Montessori Preschool - Plymouth; Megan Moreno, teacher Monarch Montessori Preschool - Plymouth; not pictured - Katie Ferner, teacher Jackson Early Head Start - Jackson. An important way to reduce stigma around mental illness is to have open and honest conversations with your loved ones. Research states that it takes young people 6 to 8 years, from the onset of symptoms, to ask for help. By starting a conversation and providing support, your loved ones may be more likely to seek treatment sooner rather than later. Talking about mental health will help reduce the risk of consequences associated with untreated mental illness. 1. Find a time to talk privately, and share why you're concerned. Ask questions that call for more than just a yes/no or one word response and then really listen. 2. Offer hope and support. Let them know that struggling with mental health is quite common and that people can and do recover. 3. Share resources. Offer information about where to find help. For example, visitEachMindMatters.org/resources to learn about local and national organizations providing mental health services. 4. Follow-up. Ask the person how you can help, and follow their lead about what is helpful. If you believe a loved one is at risk of suicide, visit suicideispreventable.org to learn about the warning signs and how you can help. Recovery is possible. Each Mind Matters has stories from real people who share their personal testimonies of hope and resilience in overcoming a mental health challenge. Visit EachMindMatters.org/stories to watch these powerful videos and consider sharing them with a person who you are concerned about. Celebrate being a dad every month at our Dad and Me outings, held at fun venues around the county on the fourth Saturday of each month. 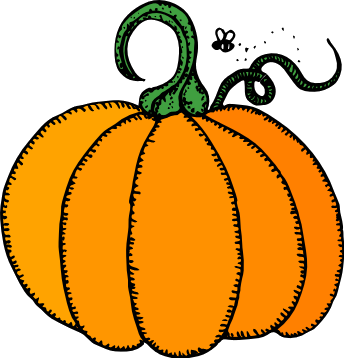 This month join us at the Amador Flower Farm!! Click HERE for the flyer with all the information. These nutritious muffins are a convenient and yummy way to snack on the go. Be sure to include your little ones to help you make this easy recipe! You don't need a mixer for this recipe. 1 Preheat the oven to 350°F (175°C). In a large bowl combine the sugar, eggs, and vanilla. Stir in the grated zucchini and then the vegetable oil. 2 In a separate bowl, mix together the flour, baking soda, nutmeg, cinnamon, and salt. Stir these dry ingredients into the zucchini mixture. Stir in walnuts, raisins or cranberries if using. 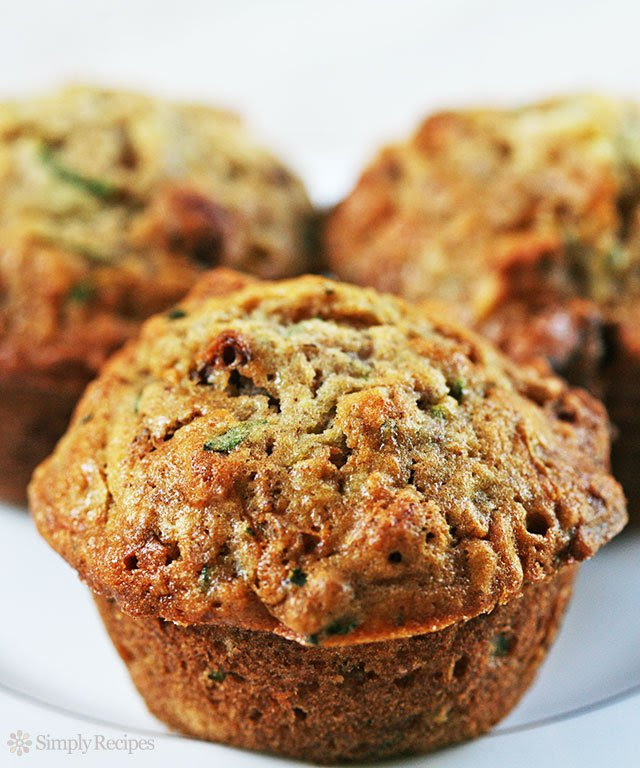 3 Coat each muffin cup in your muffin pan with a little butter or vegetable oil spray. Use a spoon to distribute the muffin dough equally among the cups, filling the cups up completely. 4 Bake on the middle rack until muffins are golden brown, and the top of the muffins bounce back when you press on them, about 20 to 25 minutes. Test with a long toothpick or a thin bamboo skewer to make sure the center of the muffins are done. *If your kids are suspect of green bits in their muffins, you can peel the zucchini first. Though we encourage you to introduce them to lots of green foods every day! Becoming "trauma-informed" means recognizing that people often have many different types of trauma in their lives. People who have been traumatized need support and understanding from those around them. 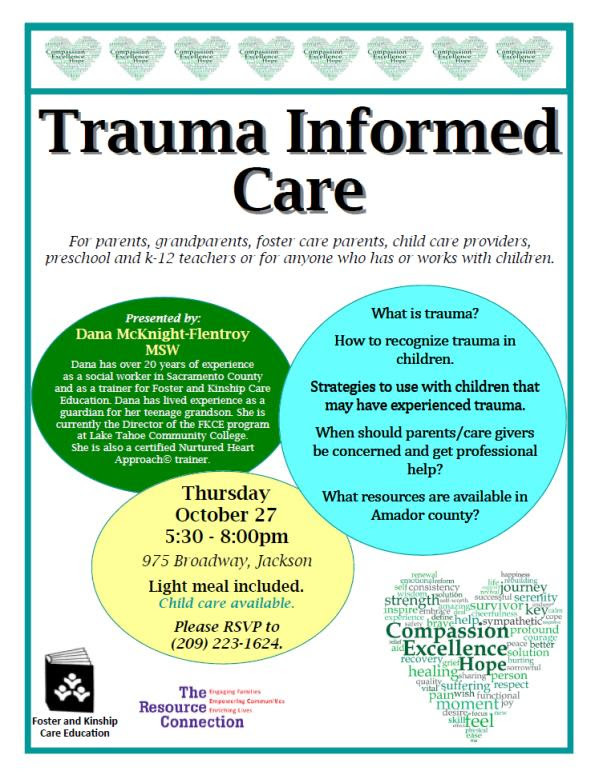 This evening is for parents, grandparents, foster care parents, child care providers, preschool and K-12 teachers or for anyone who has or works with children. How to recognize trauma in children. Strategies to use with children that may have experienced trauma. 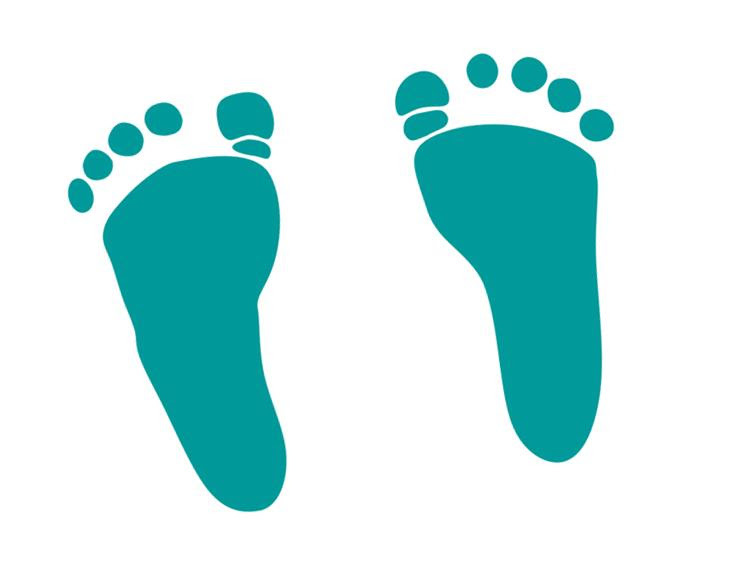 When should parents/care givers be concerned and get professional help? 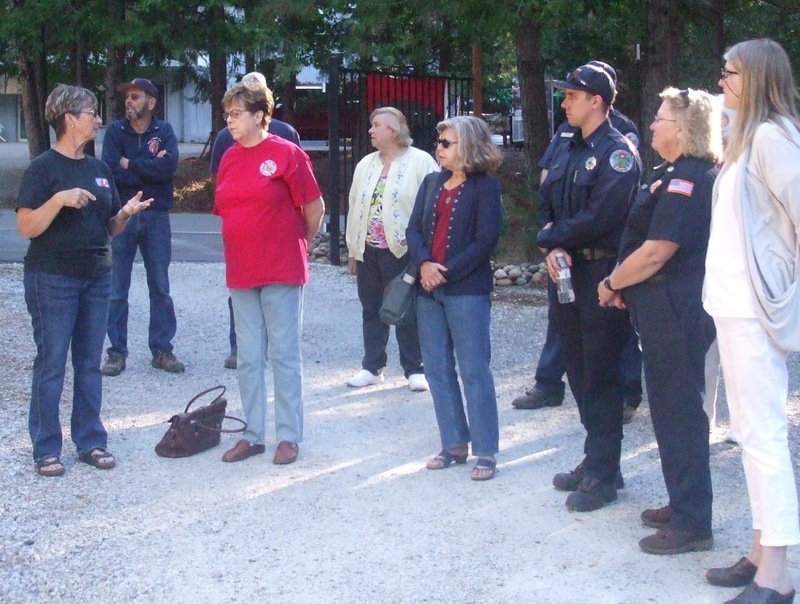 What resources are available in Amador county? 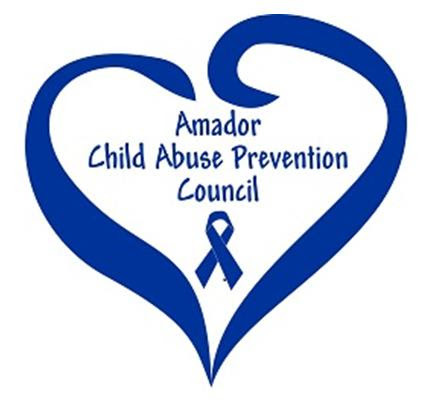 760 Amador kids and counting! Get free books for your children! 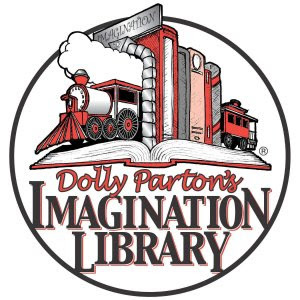 Sign your child up today and start receiving one free book every month from the Imagination Library! 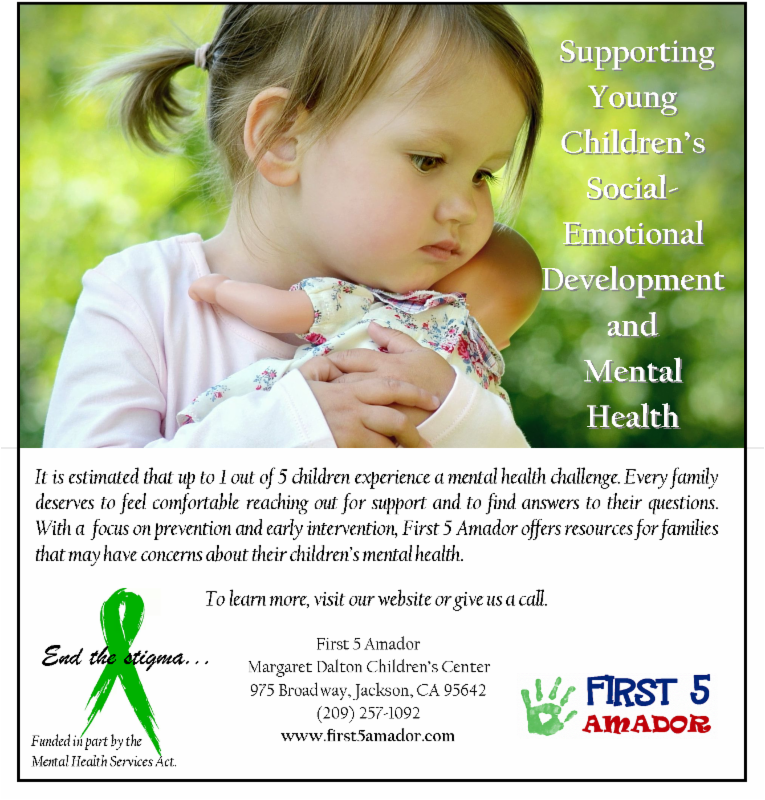 This is a free program, available to all Amador County children aged 0-4 (from birth until their 5th birthday).